The second instalment of this epic series sees our protagonist Ogami Itto and his son Daigoro hired for an assassination job by a clan who specialise in creating a special type of dye in a process only they know. The target is a man who plans to sell out their secret, thus undermining their profitable enterprise. 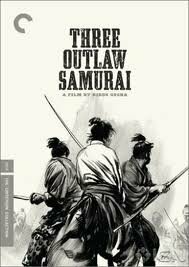 Ogami must find the man who is being protected by three deadly warriors, each with a particular weapon. Ogami must also battle a group of female assassins who have been hired by the Yagyu to kill him. This film picks up right where the last film left off and goes out of its way to top that films more eccentric elements. 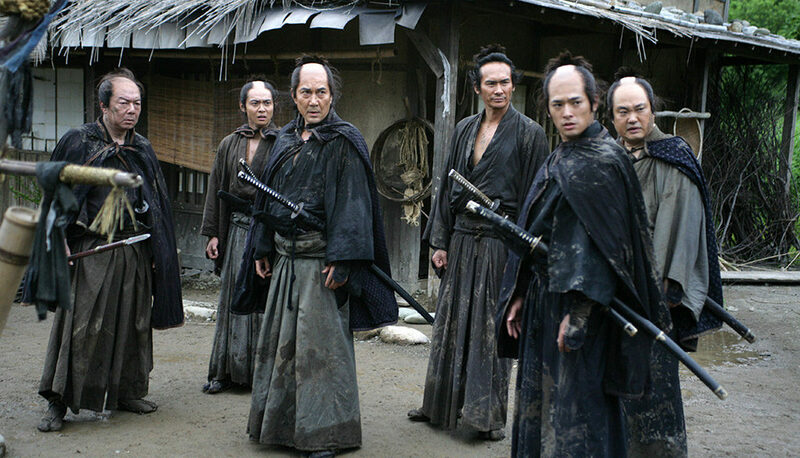 The introduction of colourful characters such as the female assassins and three warrior brothers helps distinguish this from the first film. Again there is no holding back when it comes to the violence and there is great creativity in how characters fight and day. Particularly amusing is the use of the baby-cart as a weapon, deadly straw hats, dancers, and just about anything that can be used to kill. There are a number of great action sequences, especially the one on a burning ship that tops anything in the first film. The plot this time around gets a little more complex with various factions, but it is a great strength of the film that at all times you are carried along with it and never confused by who is fighting who. A hugely entertaining film. Just as with the first there are contemplative moments amongst the action and a certain poignancy to the situation of the two lead characters, but this is balanced perfectly with frenetic action. The addition of female assassins offered a great counter-point to a series that at times is less than respectful to its female characters. A sequel that stands on the shoulders of the first and exceeds it in almost every way. The age of the samurai is drawing to a close with many having fallen on hard times. 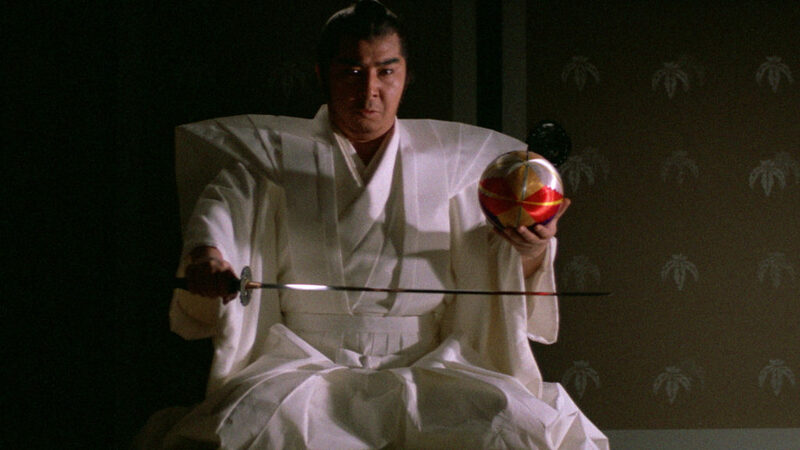 For a struggling ronin there is a risky, but potentially profitable, gambit that might be attempted: approach a wealthy lord and request to commit ritual suicide in his presence. If all goes well the lord will decide to take you on, or at the very least give you some money and send you on your way, rather than see blood spilt in his hall. This so-called “suicide bluff” is what we see attempted in this film by the samurai Tsukumo Hanshiro. However, following his request to commit ritual disembowelment the guards inform him that another recently appeared there attempting the same thing, and rather than being offered money they had forced him to carry out his proposed course of action. We learn that Tsukumo was aware of this and in fact good friends with the young samurai, who is in fact his son-in-law. We then hear the sorry tale that led him to that juncture, taken in by Tsukumo after his own father perished, and married to his daughter with a young child. Through various circumstances he was driven to the rash course of action that ultimately ended in tragedy. Tsukumo is now here for his revenge. Takashi Miike is usually known for outrageous spectacle, violence, and even extreme horror. With this film, a remake of the 1962 classic, he takes a much more restrained approach. The tone is sombre, the drama slowly revealed and delicately considered. There is a certain theatrical feel to proceedings, particularly the sequences in the lord’s palace. Everything is driven by dialogue rather than action and this could easily work as a stage play. In fact there are perhaps only two sequence of swordplay coming late in the film. The cinematography by Nobuyasu Kita is incredible, perfectly captures the period, the palaces, feudal era streets and homes. The score by Ryuichi Sakamoto is likewise a gorgeous accompaniment to the drama. There is a lot to recommend the film, both cinematography and music, fantastic acting and a stirring central plot. 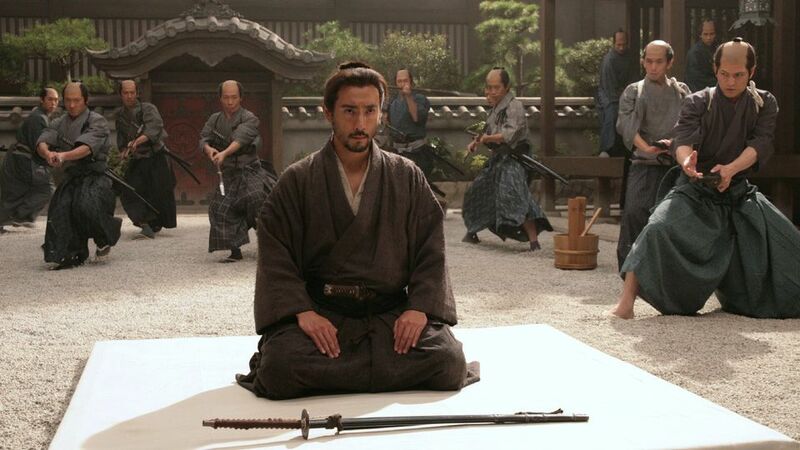 It is a little overlong and lacking in the sort of frenetic action you may expect in a samurai film. It takes its time, relishing each moment and scene, and it rewards patience. The film features a great look at the code of honour prevalent in the feudal period. It may seem peculiar that anyone would think to attempt this “suicide bluff”, but it allows us a look at both the relationship and reaction to death of this harsher social climate. There are a few hints to a more biting satire here, such as the shots of a white cat perched atop a pillow in the noble palace starkly compared to the feline corpse lying in the dirt in the lower home of the ronin. This is a world where the caste system rules and the line between rich and poor is clearly drawn. It is also a film about duty, both to your family and superiors, and whether it is possible to be good in such a rigid hierarchy, asking what it means to be an honourable person in such a world.